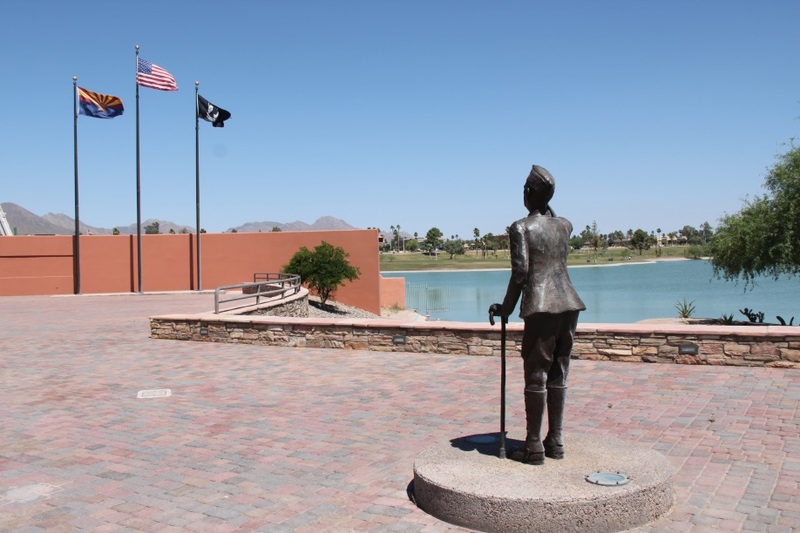 The Veteran’s Memorial in Fountain Park is the perfect setting for Fountain Hills annual Memorial Day observance. Starting at 9 a.m. on Monday, May 27th, the observance is a joint effort of the Town’s three major veterans’ organizations: the AMVETS Post no. 7, VFW Post 7507, and American Legion Post 58. Organized this year by the AMVETS, the keynote speaker will be Congressman David Schweikert, who is a Fountain Hills resident. Plaques depicting scenes from the Spanish-American War to the Persian Gulf War give solemn tribute the men and women who served in our Armed Forces. A Navy veteran and chronicler himself, Carlos Hadaway’s tribute the USS Arizona is a moving reminder of the bravery and selflessness of those who gave their lives for their country. 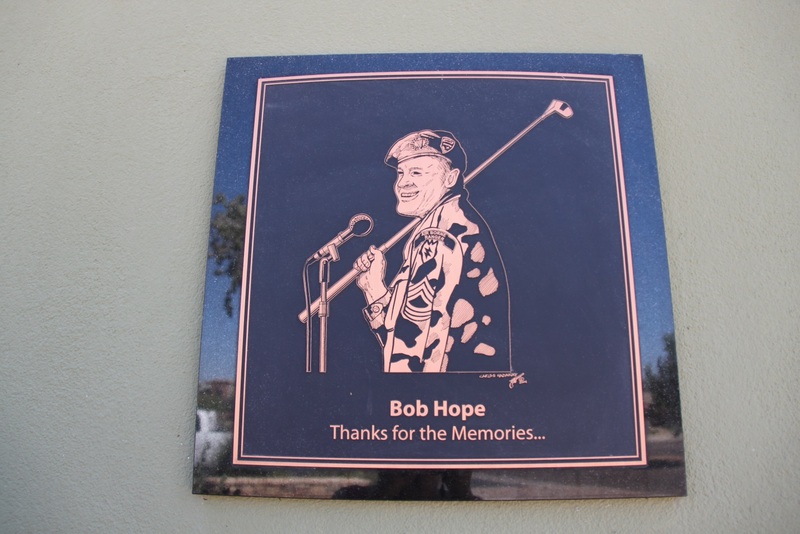 Close to the hearts of all who served and had their spirits lifted by the hundreds of USO tours is Hadaway’s poignant tribute to Bob Hope, who gave so selflessly of his time and talent to bring the fresh air of laughter to our troops. The community is invited to wear their “red shirts” to the Memorial service on Monday. This effort organized and supported by Fountain Hills residents provides funds for homeless veterans and Vets in need from the sale of these popular shirts. 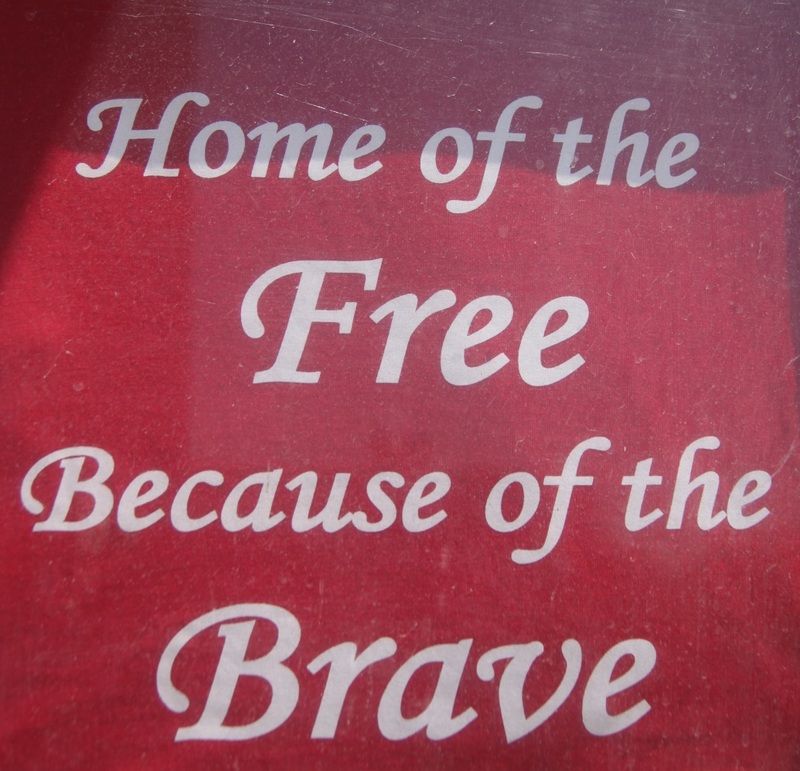 But Fountain Hills not only remembers and honors its veterans on Memorial day…every Friday is “Red Shirt” day, giving all of us an opportunity to say “Thank You” to our Veterans all year round. This entry was posted in Area Events, Arts, Culture, Schools & Clubs and tagged Fountain Hills Veteran's Memorial, Memorial Day. Bookmark the permalink.